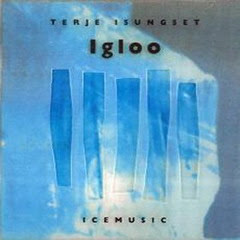 Recorded in Ice Hotel, Isungset's Igloo is played on ice, transparent as ice and beautiful as the northern lights (maybe ought to be observed even thru the ice). With voice contribution from Sidsel Endresen it sounds quite ECMish and that's cool (as ice?))). Maybe more than you'll imagine. Now it's a polar night over there.